We are still negotiating the terms of contracts who gets to be featured on Wednesday's. Until they can come to agreement, they will take turns. 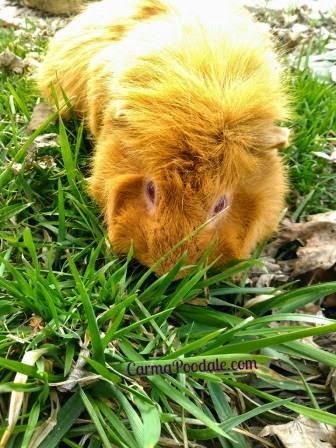 Cinnamon sure loves going outside and spending time in the sun and nibbling on fresh grass. Does Cinnamon need a sitter, too cute! !